My poor Nexus 5X is officially ancient, no Pie for me. This thing is hanging in there, and I don't want to throw it through the wall yet, which is kind of unfortunate because I can't justify a Pixel 3. Not that I'd want to foot the bill for a Pixel 3 with the way their price has been going. I picked up a 5X two years ago; in those two years, his phone died once and hers twice (the bootloop issue). They were fixed for free under the extended warranty LG threw on to cover that problem, but we just bought my wife a Pixel 2 because she was so incredibly frustrated. tl;dr--with the "reliability" of the 5X, you might not have to wait all that long to replace it. Got 9.0 on my Pixel this afternoon. Seems snappy. Will report more later. They finally got a better default battery display so I uninstalled the app I've had forever. Sometimes it's the little things. Android OS 9.0 is already out? Man, google is really stepping on the gas pedal on this one. It use to be a very celebrated event, now it just seems so... meh? I mean, you can get a refurbished Pixel 1 XL for less than $300. It can handle everything out there. Battery drain is probably from me playing with new shiny too much. Will see how a usual full day at work tomorrow goes. Yes. I've been consistently between 40-60% when I get home the last month or so. Oh, my Nexus already did the bootloop thing and was fixed for free. My mother in law's too. One advantage of a job that involves testing on mobile devices is that it's real easy to borrow a phone for a week or two while yours is out for repairs. Other than that, the Nexus has been real solid. The battery isn't lasting as long as I want, but I can charge it at work. It's definitely starting to bog down, but it's not bad enough that I'm like "I need a new phone now." I know, and I'm sure they'll run a deal on the Pixel 2 around or before the 3 comes out. But since since it's usually only a few years after release that they drop support and updates start slowing the thing down, I usually don't like to get anything less than the latest gen. 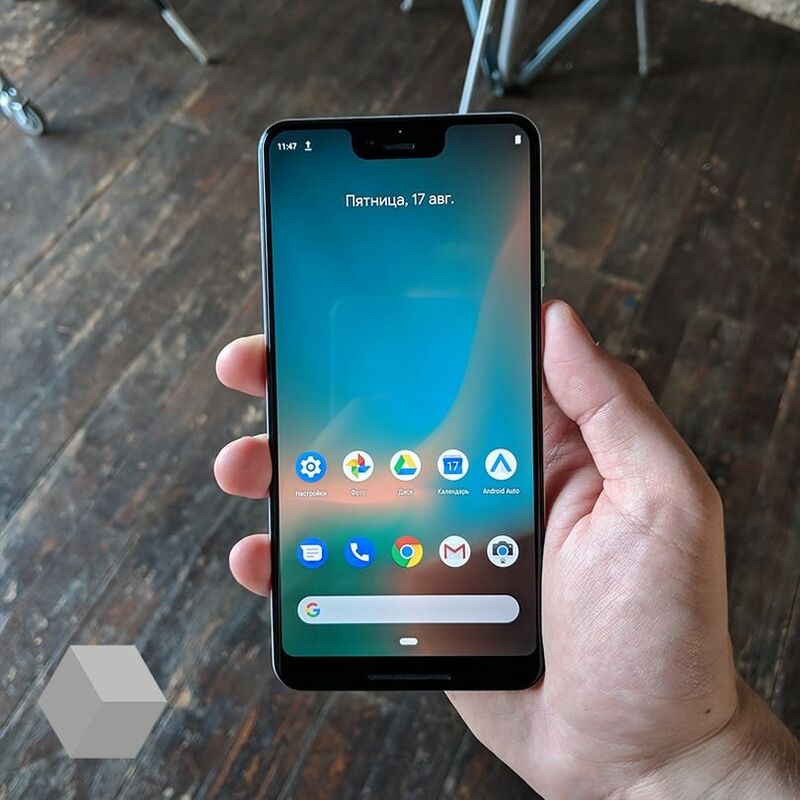 I'm really holding out hope that the rumors are true, and they do a budget-level Pixel 3 that's in the same price bracket as the Nexus 5x. Another work day and 75% battery when I got home. Did my usual lunch workout music and Kindle app reading too. Feels like 9.0 has given my Pixel some new life. Ohhh, the 9.0 update alert just hit my Essential. I'll download it once I get home. Yay! So 9 is pretty snappy, and the new task management is nifty. Not sure why this posted twice. I blame Android 9. Worth noting, if you have an original Pixel XL the 9.0 update apparently breaks quick charging. Sometimes it will start, and then stop, or not work at all, or behave in any number of ways. Google has acknowledged it and despite some initial reports that they had designated the bug report as "Won't Fix (Infeasible)" they've apparently re-opened the report and said they're working on it. But maybe hold off if you have the OG Pixel XL and fast charging is important to you. Only the XL right? My normal Pixel has been fine I think. So friends, is there a secret to using Google Pay? I’m out on a long walk, trying to get 10,000 steps, and I didn’t bring my wallet. In the middle of the walk I suddenly get super hungry. I’m sad for a moment, but then I recalled that I set up Google Pay when I first got my phone. First stop, McDonald’s, where both the app and the sign on the door say it’s accepted. I follow the directions in the app, but nothing happens, so I just say thank you and leave. Next up is 7-Eleven, which again, both the app and a door sign confirm Google Pay support. It didn’t work there either. Yup, it and Android Beam, both on. May depend on the phone. I know some places were doing Samsung Pay but not Google/Android Pay for a while there. I know I used it a couple times in Florida back in my LG3 days. Similar thing, wanted to go for a walk on the beach/harbor and not have to carry a wallet but still buy a drink or snacks. ......apparently on the Essential, the NFC chip is on the bottom of the phone. I'll ask the obvious, but did you hook it up a credit card or other money source? Yup, totally hooked up my current Chase credit card. Leaked Pixel 3 XL pic. Gaze upon it and despair. "So people don't want bezels on their phones anymore, but to put an edge-to-edge screen on the new Pixel, we're going to have to give in and compromise with a notch." "Hold up. What if we put a notch at the top, AND also still have a big bezel at the bottom? It's the worst of both worlds! Nobody will be happy! We'll look like we have absolutely no idea what we're doing!" I can't wait to see the regular Pixel 3. I'm a fan of the smaller size, like my Essential. The notch might be 2017-2019's worst design "feature". Hopefully somebody figures out a better way fast so Apple can rip it off and call it revolutionary. It's not so bad, you get used to it in a day or so. Then again the notch on mine is tiny by comparison. Sorry, after all the handwringing over the notch I find this kind of amusing. Plus, Android started this arms race with the entire concept of screens that cover the entire phone. I think many of us were perfectly happy with touch unlock. Hey, I don't care about Bezel/Bezel-less, as long as I get a useful folding phone from Samsung. Which, looking at all the leaks coming out, isn't likely. I don't even know what a bezel or notch is, don't care. Most of the time it hangs on a magnet in my car or on the desk next to me and I control it with Bluetooth stuff. Well look at Mr. Bluetooth over here. Some more caviar, Mr. Bluetooth? To say nothing of the stupid stuff being done to make the phone 2.3mm thinner. While at the same time, as LouZiffer mentions with his comment about his wife wanting a phone that fits in her pocket, "small" phones basically no longer exist. Remember when the OG Galaxy Note came out with its 5.3" screen and was considered a behemoth? That's middle-of-the-pack now. Dumb sacrifices in functionality are made in the quest for a phone that's paper-thin, but nobody in the industry cares about the fact you can't buy a decent phone that women with smaller hands can use one-handed.